CUT & PEEL CLEAR BACKED STICKERS. 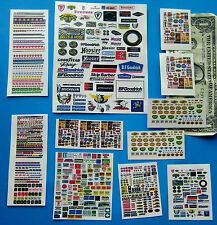 CLEAR BACKED STICKERS. All brass, insulated, precision wheel sets. – Free Rolling. #53614 LokPilot Standard DCC Decoder - 21pin. The most modern technology globally available has been built into the LokPilot Standard. Due to the simulated inertia the locomotive will not jerk, not even in 14 speed step mode. THE PERFECT SCALE TREE! A distant cousin to our western sagebrush, their intricate detail and perfect branch structure produce an incredible scale tree unsurpassed in realism. Mountain Subdivision Hobbies. 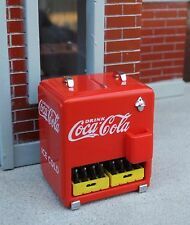 Premium Coca Cola Cooler Chest Diecast 1/24 Scale G Scale Diorama Accessory Item. Includes 2 Coca Cola Cases ( Loose - May Be Displayed as Desired ). CHEST IS DIECAST AND ARRIVES EXACTLY AS PICTURED. RDC 1 & RDC 2. Photo Provided by PnP Trains. Electric locomotive, analog H2054505 C-7. SBB CFF FFS 2000 (460 040-9). MARKLIN HO Scale. 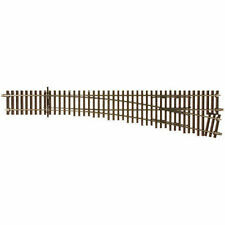 AC Analog three-rail. Needs cleaning and lubrication. Pre Owned and Customized. Super Looking Novelty Dual Faced Coca Cola Machine w Attached Danbury Mint Coca Cola Soda Case in 1/24 Scale G Scale for Static Display. Great platform display item, which can be viewed from either side. N scale ready to run locomotive. Does not appear to have been used much but does have a stain,(looks like coffee) see pics for condition. 6-Function outputs with over 20 Hyperlight Effects. We strive to provide high quality products at an affordable price. The Alco T-6 was a 1000hp Locomotive produced from 1958 to 1969. This is an undecorated HO Scale Polyurethane Engine Shell, Alco T-6. The results are amazing. No painting is required. First aid kit and fire hose They are made specifically for 1/87 “HO” train gauge layouts. Based on the use of real building materials photographed and printed. #884007 TSU-2200 SOUND DECODER : STEAM-2 LOCOMOTIVES. SOUNDTRAXX TSUNAMI 2 We are an authorized SOUNDTRAXX Dealer! Tsunami2 steam decoders are loaded with new features. Soundtraxx also added new and remastered sounds to add realism to your models. HERE WE HAVE A NEW. kato N 106-056 CALIFONIA ZEPHYR,11 car set, perfect for the KATO RED BAND E5 locomotives, OR THE WSTERN PACIFIC F-3s OR THE D&RGW PAs we carry (NOT INCLUDED) GREAT PRICE ., AGES 14 AND UP. About the Sugar Cube Speakers:These tiny speakers are the best! I'm going to use them exclusively for my HO collection from now on. They are full-range speakers and are surprisingly loud for their size. Mountain Subdivision Hobbies. Auto shut off after 5 minutes of no trains. What a great way to speed match your locomotives! Locomotive shown in photo is not included. New or Used?. It's your choice! For sale is one Classic QSI Aristo, Large Scale Plug In Decoder For Aristocraft Or QSI Magnum. This is the pre-titan style and is the last of its kind known to exist in new condition. It has been tested for operation, sound, lighting, programming and sound file loading and has passed all tests. Currently programmed for K4 steam engine but could be programmed for anything with Quantum Programmer. Put together 314AW controller as outlined in Tom Barkers book. Whistle in tender blows and the train does not slow down a bit. The new box is the size of a credit card 3.25 x 2in has place to attatch to your layout. 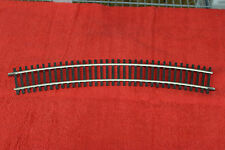 N Scale Lima 22 0125 1st Class Add-On Car For TGV Set. Like new, in original case. Please refer to pictures for greater detail as they are a part of the description. 6-Pin Mini Connector (Colored Wires). Each side of the connector has color (for polarity matching), 32 gauge, very flexible robotic wire soldered to it and insulated with heat shrink tubing. This quick plug connector is also ideal for "Break Away" applications where connections to need to be broken easily for safety or convenience. High Quality 11x15 sugar cube speaker. 8 ohm, 1 watt, and an amazing 20hz-20khz. About the Sugar Cube Speakers:These tiny speakers are the best! I'm going to use them exclusively for my HO collection from now on. You decide what buildings to use and where to put them. If you change your mind you can move them or replace them with another building. If you have already built your layout it can be hard to find a backdrop that will fit with what you have. There is a working smoke and choo-choo unit, the boiler is lighted, the reverse unit works as it should, Pull- Mor traction tires and there are working knuckle couplers on both ends of the loco. Made in the USA. 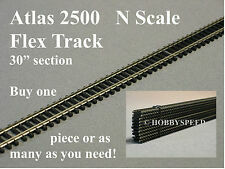 New Listing HO PROTO 2000 Heritage Series Locomotive, 920-60001 Heavy 2-10-2 PPR Mint! Pristine in the box. Never run. Steam locomotive with sound and DCC. NCE Cab06p. We are an authorized NCE dealer. This is a non radio cab only. Clear, easy-to-read display, select up to 6 loco recalls, F0-F28, select accessory, select macro. Since 1982, the BethGon Coalporter has been hauling "black diamonds" (coal) across the United States. N scale 8-car Norfolk Southern coalporter gondola set by Kato. Set includes cars. Tubs below the car lower the center of gravity, providing a smoother ride. MANTUA/TYCO HO F-7/F-9A ASSORTED DIESEL POWERED UNITS. B - PENN-CENTRAL MISSING ONE STEP. You will be the king of the ice with this spectacular car. Do your job well, and the Lions might just end up hoisting the Cup this spring! Die-cast Zamboni® Ice Resurfacer with original Lionel Lions Hockey decoration. #51957 Adapter Board #3 NEW! ESU LokSound. We are an Authorized ESU LokSound Dealer. 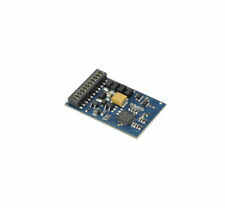 This new ESU adapter board #3 for decoders with 21MTC interface is best suited for everyone intending to digitise a loco without interface but with many functions without having to carry out major soldering work. The most modern technology globally available has been built into the LokPilot Standard. 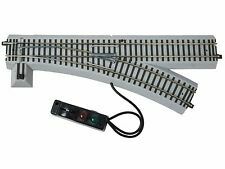 #53611 LokPilot Standard DCC Decoder - NMRA 8 pin plug. LokPilot Standard DCC, 8 pole plug per NEM652, wire harness, 4 amplified outputs. F -100 Pick Up trucks and one panel van. BOTH NEED CLEANED OTHERWISE GOOD CONDITION. 120 TON BROWNHOIST WRECKING CRANE KIT. New ListingAmerican Flyer Rocket Sled #25515 U.S.A.F Rocket Flat Car. Flat Car Only! Flat Car Only! Pike Master trucks and couplers. Excellent Minus condition in my estimation. Nice clean flat car. Set includes 350-360 sacks. An economical solution to inexpensive freight loads. This is a “Made in the USA” product. RICO’S RAIL REWARDS PROGRAM:Don't forget. Ask for details. The full size GenSet has 3-motors and distinct notching sounds as each powers up and down. Incredibly, this amazing sound decoder duplicates this unique process, even when sitting idle! 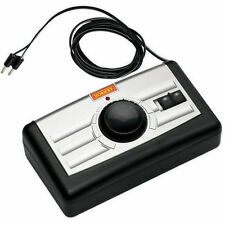 Not only is this powerful decoder brimming with functions, but the realism of its 16-bit sound quality "has to be heard". 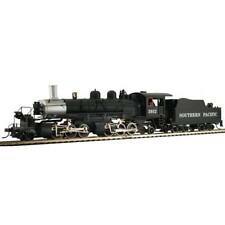 N Scale Arnold 1st Class Short Passenger Car, Factory Lit. Like new condition, no box. Please refer to pictures for greater detail as they are a part of the description. NICE BALTIMORE AND OHIO #283 - LIGHT & WINDSHIELD MISSING! Up for sale is this TYCO HO Scale - Chattanooga Locomotive & Tender #638. Engineer located in Locomotive. Condition: Very good used condition. 8703 Hwy 17 Bypass South. Micro-Trains Great Northern 2 Bay ACF Center Flow Covered Hopper. See photos for further details, clarification, and condition.